I love the look of all white beds. It looks so elegant and crisp . I think they make such a statement. My own bed is all white with touches of lavender. It keeps my room pristine and fresh. Do you prefer a bed with color, or an white bed? 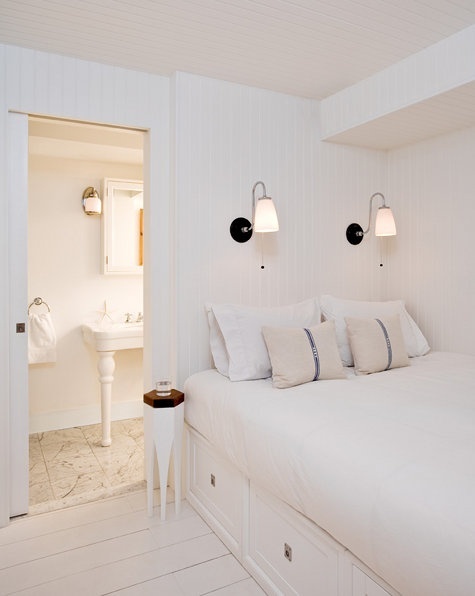 Nothing more classic and calming than a good white bed with crisp cool linens! Thank you for sharing these inviting abodes.